This two or three day course is designed to provide participants with an introduction to the Neuro-IFRAH® principles of management and a practical application of these principles to increase function. Participants will be able to apply the information learned in a variety of treatment settings including acute care, inpatient and outpatient rehabilitation, home care, and skilled nursing facilities. other participants. Information will be shared by lecture, lab and possibly using video or other visual aids. 1. Identify the basic principles of management of the Neuro-IFRAH® approach. 2. 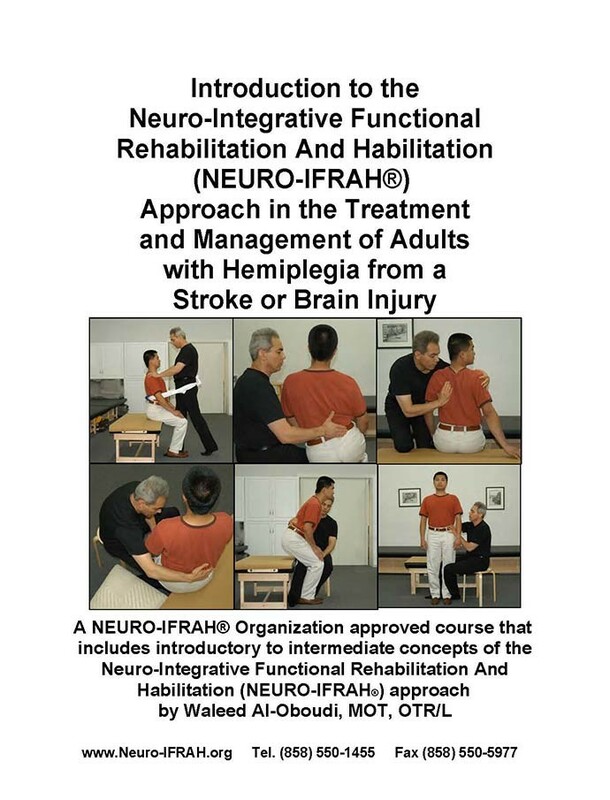 Identify handling guidelines related to the Neuro-IFRAH® approach. 3. Identify concepts related to the framework for normal movement. 4. Differentiate between normal and abnormal movement in function. 5. Identify the missing components of movement that are interfering with patients’ abilities to function at a higher level. 6. Apply handling techniques to help attain the missing components of movement that are interfering with functioning at higher levels. 7. Integrate concepts related to normal movement, principles of management, handling guidelines, and handling techniques into ADLs and other functional activities.